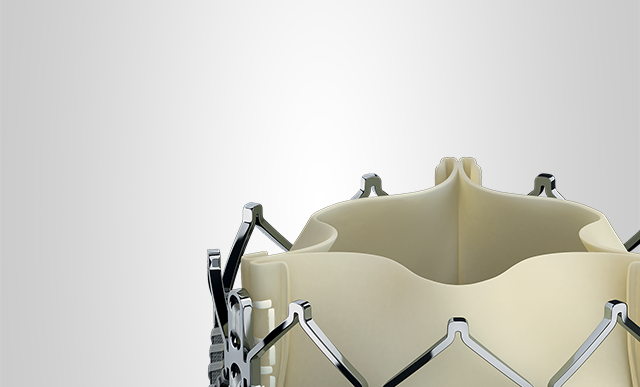 Edwards SAPIEN XT transcatheter heart valve is approved for delivery with the NovaFlex+ system and Ascendra+ system in 23 mm, 26 mm and 29 mm valve sizes. *For the 23 mm Edwards SAPIEN XT valve via the transfemoral procedure. 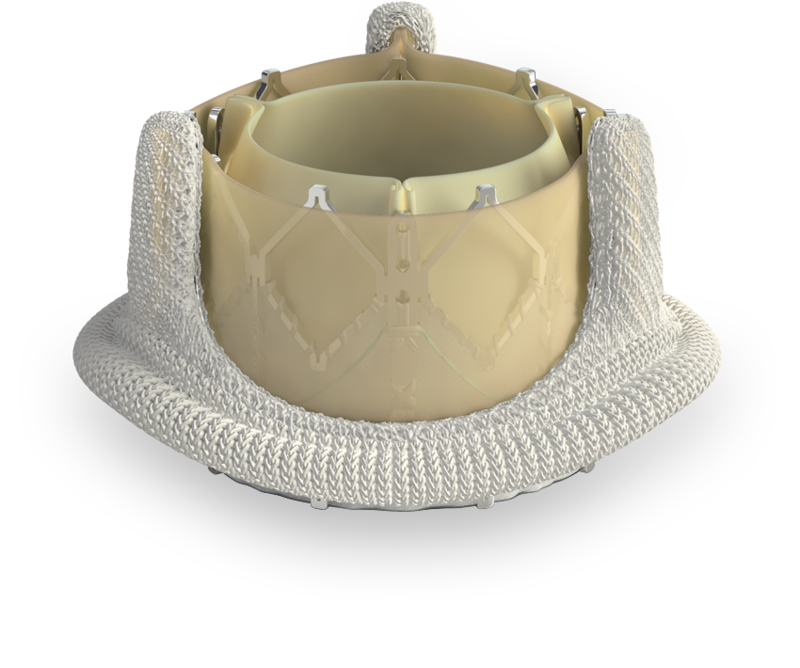 The Edwards SAPIEN XT valve expands treatment options for Heart Teams and patients by providing transcatheter valve-in-valve solutions in failed surgical bioprosthetic aortic valves (includes stenosis, insufficiency, or both). This allows patients at high or greater surgical risk to avoid an additional open heart procedure. Indications: The Edwards SAPIEN XT transcatheter heart valve is indicated for use in patients with symptomatic heart disease due to either severe native calcific aortic stenosis or failure (stenosed, insufficient, or combined) of a surgical bioprosthetic aortic valve who are judged by a heart team, including a cardiac surgeon, to be at high or greater risk for open surgical therapy (i.e., Society of Thoracic Surgeons operative risk score ≥ 8% or at a ≥ 15% risk of mortality at 30 days). Contraindications: The THV and delivery systems are contraindicated in patients who cannot tolerate an anticoagulation/antiplatelet regimen or who have active bacterial endocarditis or other active infections. Warnings: Observation of the pacing lead throughout the procedure is essential to avoid the potential risk of pacing lead perforation. There is an increased risk of stroke in transcatheter aortic valve replacement procedures, as compared to balloon aortic valvuloplasty or other standard treatments. The devices are designed, intended, and distributed for single use only. Do not resterilize or reuse the devices. There are no data to support the sterility, nonpyrogenicity, and functionality of the devices after reprocessing. Care should be exercised when sizing the native annulus or surgical valve; implanting a THV that is too small may lead to paravalvular leak, migration or embolization, whereas implanting a THV that is too large may lead to residual gradient (patient-prosthesis mismatch) or annular rupture. Accelerated deterioration of the THV may occur in patients with an altered calcium metabolism. Prior to delivery, the THV must remain hydrated at all times and cannot be exposed to solutions other than its shipping storage solution and sterile physiologic rinsing solution. THV leaflets mishandled or damaged during any part of the procedure will require replacement of the THV. Caution should be exercised in implanting a THV in patients with clinically significant coronary artery disease. Patients with pre-existing mitral valve devices should be carefully assessed prior to implantation of the THV to ensure proper THV positioning and deployment. Do not use the THV if the tamper evident seal is broken, the storage solution does not completely cover the THV, the temperature indicator has been activated, the THV is damaged, or the expiration date has elapsed. Do not mishandle the NovaFlex+ delivery system or use it if the packaging or any components are not sterile, have been opened or are damaged (e.g. kinked or stretched), or the expiration date has elapsed. Use of excessive contrast media may lead to renal failure. Measure the patient’s creatinine level prior to the procedure. Contrast media usage should be monitored. Patient injury could occur if the delivery system is not un-flexed prior to removal. Care should be exercised in patients with hypersensitivities to cobalt, nickel, chromium, molybdenum, titanium, manganese, silicon, and/or polymeric materials. The procedure should be conducted under fluoroscopic guidance. Some fluoroscopically guided procedures are associated with a risk of radiation injury to the skin. These injuries may be painful, disfiguring, and long-lasting. THV recipients should be maintained on anticoagulant/antiplatelet therapy, except when contraindicated, as determined by their physician. This device has not been tested for use without anticoagulation. Do not add or apply antibiotics to the storage solution, rinse solutions, or to the THV. Precautions: Long-term durability has not been established for the THV. Regular medical follow-up is advised to evaluate THV performance. Glutaraldehyde may cause irritation of the skin, eyes, nose and throat. Avoid prolonged or repeated exposure to, or breathing of, the solution. Use only with adequate ventilation. If skin contact occurs, immediately flush the affected area with water; in the event of contact with eyes, seek immediate medical attention. For more information about glutaraldehyde exposure, refer to the Material Safety Data Sheet available from Edwards Lifesciences. To maintain proper valve leaflet coaptation, do not overinflate the deployment balloon. Appropriate antibiotic prophylaxis is recommended post-procedure in patients at risk for prosthetic valve infection and endocarditis. Safety, effectiveness, and durability have not been established for THV in THV procedures. Safety and effectiveness have not been established for patients with the following characteristics/comorbidities: non-calcified aortic annulus, severe ventricular dysfunction with ejection fraction < 20%, congenital unicuspid or congenital bicuspid aortic valve, mixed aortic valve disease (aortic stenosis and aortic regurgitation with predominant aortic regurgitation > 3+), pre-existing prosthetic ring in any position, severe mitral annular calcification (MAC), severe (> 3+) mitral insufficiency, or Gorlin syndrome, blood dyscrasias defined as: leukopenia (WBC < 3000 cells/mL), acute anemia (Hb < 9 g/dL), thrombocytopenia (platelet count <50,000 cells/mL), or history of bleeding diathesis or coagulopathy, hypertrophic cardiomyopathy with or without obstruction (HOCM), echocardiographic evidence of intracardiac mass, thrombus, or vegetation, a known hypersensitivity or contraindication to aspirin, heparin, ticlopidine (Ticlid™), or clopidogrel (Plavix™), or sensitivity to contrast media, which cannot be adequately premedicated, significant aortic disease, including abdominal aortic or thoracic aneurysm defined as maximal luminal diameter 5 cm or greater; marked tortuosity (hyperacute bend), aortic arch atheroma (especially if thick [> 5 mm], protruding, or ulcerated) or narrowing (especially with calcification and surface irregularities) of the abdominal or thoracic aorta, severe “unfolding” and tortuosity of the thoracic aorta, access characteristics that would preclude safe placement of 16F, 18F, or 20F Edwards expandable introducer sheath set, such as severe obstructive calcification, severe tortuosity or diameter less than 6 mm, 6.5 mm, or 7 mm, respectively, bulky calcified aortic valve leaflets in close proximity to coronary ostia, a concomitant paravalvular leak where the surgical bioprosthesis is not securely fixed in the native annulus or is not structurally intact (e.g. wireform frame fracture), and a partially detached leaflet of the surgical bioprosthesis that in the aortic position may obstruct a coronary ostium. The safety and effectiveness have not been established for implanting the THV inside a stented bioprosthetic valve < 21 mm (labeled size) or an unstented bioprosthetic aortic valve. Residual mean gradient may be higher in a “TAV-in-SAV” configuration than that observed following implantation of the THV inside a native aortic annulus using the same size device. Patients with elevated mean gradient post procedure should be carefully followed. It is important that the manufacturer, model and size of the preexisting surgical bioprosthetic aortic valve be determined, so that the appropriate THV can be implanted and a prosthesis-patient mismatch be avoided. Additionally, pre-procedure imaging modalities must be employed to make as accurate a determination of the internal orifice as possible. Potential adverse events: Potential risks associated with the overall procedure including potential access complications associated with standard cardiac catheterization, balloon valvuloplasty, the potential risks of conscious sedation and/or general anesthesia, and the use of angiography: death; stroke/transient ischemic attack, clusters or neurological deficit; paralysis; permanent disability; respiratory insufficiency or respiratory failure; hemorrhage requiring transfusion or intervention; cardiovascular injury including perforation or dissection of vessels, ventricle, myocardium or valvular structures that may require intervention; pericardial effusion or cardiac tamponade; embolization including air, calcific valve material or thrombus; infection including septicemia and endocarditis; heart failure; myocardial infarction; renal insufficiency or renal failure; conduction system defect which may require a permanent pacemaker; arrhythmia; retroperitoneal bleed; AV fistula or pseudoaneurysm; reoperation; ischemia or nerve injury; restenosis; pulmonary edema; pleural effusion; bleeding; anemia; abnormal lab values (including electrolyte imbalance); hypertension or hypotension; allergic reaction to anesthesia, contrast media, or device materials; hematoma; syncope; pain or changes at the access site; exercise intolerance or weakness; inflammation; angina; heart murmur; fever. Additional potential risks associated with the use of the THV, delivery system, and/or accessories include: cardiac arrest; cardiogenic shock; emergency cardiac surgery; cardiac failure or low cardiac output; coronary flow obstruction/transvalvular flow disturbance; device thrombosis requiring intervention; valve thrombosis; device embolization; device migration or malposition requiring intervention; valve deployment in unintended location; valve stenosis; structural valve deterioration (wear, fracture, calcification, leaflet tear/tearing from the stent posts, leaflet retraction, suture line disruption of components of a prosthetic valve, thickening, stenosis); device degeneration; paravalvular or transvalvular leak; valve regurgitation; hemolysis; device explants; nonstructural dysfunction; mechanical failure of delivery system, and/or accessories, non-emergent reoperation. Warnings: Observation of the pacing lead throughout the procedure is essential to avoid the potential risk of pacing lead perforation. There is an increased risk of stroke in transcatheter aortic valve replacement procedures, as compared to balloon aortic valvuloplasty or other standard treatments. The devices are designed, intended, and distributed for single use only. Do not resterilize or reuse the devices. There are no data to support the sterility, nonpyrogenicity, and functionality of the devices after reprocessing. Care should be exercised when sizing the native annulus or surgical valve; implanting a THV that is too small may lead to paravalvular leak, migration or embolization, whereas implanting a THV that is too large may lead to residual gradient (patient-prosthesis mismatch) or annular rupture. Accelerated deterioration of the THV may occur in patients with an altered calcium metabolism. Prior to delivery, the THV must remain hydrated at all times and cannot be exposed to solutions other than its shipping storage solution and sterile physiologic rinsing solution. THV leaflets mishandled or damaged during any part of the procedure will require replacement of the THV. Caution should be exercised in implanting a THV in patients with clinically significant coronary artery disease. Patients with pre-existing mitral valve devices should be carefully assessed prior to implantation of the THV to ensure proper THV positioning and deployment. Patients presenting with combination AV low flow, low gradient should undergo additional evaluation to establish the degree of aortic stenosis. Do not use the THV if the tamper evident seal is broken, the storage solution does not completely cover the THV, the temperature indicator has been activated, the THV is damaged, or the expiration date has elapsed. Do not mishandle the Ascendra+ delivery system or use it if the packaging or any components are not sterile, have been opened or are damaged (e.g. kinked or stretched), or the expiration date has elapsed. Care should be exercised in patients with hypersensitivities to cobalt, nickel, chromium, molybdenum, titanium, manganese, silicon, and/or polymeric materials. The procedure should be conducted under fluoroscopic guidance. Some fluoroscopically guided procedures are associated with a risk of radiation injury to the skin. These injuries may be painful, disfiguring, and long-lasting. THV recipients should be maintained on anticoagulant/antiplatelet therapy, except when contraindicated, as determined by their physician. This device has not been tested for use without anticoagulation. Do not add or apply antibiotics to the storage solution, rinse solutions, or to the THV. Precautions: Long-term durability has not been established for the THV. Regular medical follow-up is advised to evaluate THV performance. Glutaraldehyde may cause irritation of the skin, eyes, nose and throat. Avoid prolonged or repeated exposure to, or breathing of, the solution. Use only with adequate ventilation. If skin contact occurs, immediately flush the affected area with water; in the event of contact with eyes, seek immediate medical attention. For more information about glutaraldehyde exposure, refer to the Material Safety Data Sheet available from Edwards Lifesciences. To maintain proper valve leaflet coaptation, do not overinflate the deployment balloon. Appropriate antibiotic prophylaxis is recommended post-procedure in patients at risk for prosthetic valve infection and endocarditis. Safety, effectiveness, and durability have not been established for THV in THV procedures. Safety and effectiveness have not been established for patients with the following characteristics/comorbidities: Non-calcified aortic annulus, severe ventricular dysfunction with ejection fraction < 20%, congenital unicuspid or congenital bicuspid aortic valve, mixed aortic valve disease (aortic stenosis and aortic regurgitation with predominant aortic regurgitation > 3+), pre-existing prosthetic ring in any position, severe mitral annular calcification (MAC), severe (> 3+) mitral insufficiency, or Gorlin syndrome, blood dyscrasias defined as: leukopenia (WBC < 3000 cells/mL), acute anemia (Hb < 9 g/dL), thrombocytopenia (platelet count <50,000 cells/mL), or history of bleeding diathesis or coagulopathy, hypertrophic cardiomyopathy with or without obstruction (HOCM), echocardiographic evidence of intracardiac mass, thrombus, or vegetation, a known hypersensitivity or contraindication to aspirin, heparin, ticlopidine (Ticlid™), or clopidogrel (Plavix™), or sensitivity to contrast media, which cannot be adequately premedicated, excessive calcification of vessel at access site, bulky calcified aortic valve leaflets in close proximity to coronary ostia, a concomitant paravalvular leak where the surgical bioprosthesis is not securely fixed in the native annulus or is not structurally intact (e.g. wireform frame fracture), and a partially detached leaflet of the surgical bioprosthesis that in the aortic position may obstruct a coronary ostium. The safety and effectiveness have not been established for implanting the THV inside a stented bioprosthetic valve < 21 mm (labeled size) or an unstented bioprosthetic aortic valve. Residual mean gradient may be higher in a “TAV-in-SAV” configuration than that observed following implantation of the THV inside a native aortic annulus using the same size device. Patients with elevated mean gradient post procedure should be carefully followed. It is important that the manufacturer, model and size of the preexisting surgical bioprosthetic aortic valve be determined, so that the appropriate THV can be implanted and a prosthesis-patient mismatch be avoided. Additionally, pre-procedure imaging modalities must be employed to make as accurate a determination of the internal orifice as possible. Potential adverse events: Potential risks associated with the overall procedure including potential access complications associated with standard cardiac catheterization, balloon valvuloplasty, the potential risks of conscious sedation and/or general anesthesia, and the use of angiography: death; stroke/transient ischemic attack, clusters or neurological deficit; paralysis; permanent disability; respiratory insufficiency or respiratory failure; hemorrhage requiring transfusion or intervention; cardiovascular injury including perforation or dissection of vessels, ventricle, myocardium or valvular structures that may require intervention; pericardial effusion or cardiac tamponade; embolization including air, calcific valve material or thrombus; infection including septicemia and endocarditis; heart failure; myocardial infarction; renal insufficiency or renal failure; conduction system defect which may require a permanent pacemaker; arrhythmia; retroperitoneal bleed; AV fistula or pseudoaneurysm; reoperation; ischemia or nerve injury; restenosis; pulmonary edema; pleural effusion; bleeding; anemia; abnormal lab values (including electrolyte imbalance); hypertension or hypotension; allergic reaction to anesthesia, contrast media, or device materials; hematoma; syncope; pain or changes at the access site; exercise intolerance or weakness; inflammation; angina; heart murmur; fever. Additional potential risks associated with the use of the THV, delivery system, and/or accessories include: cardiac arrest; cardiogenic shock; emergency cardiac surgery; cardiac failure or low cardiac output; coronary flow obstruction/transvalvular flow disturbance; device thrombosis requiring intervention; valve thrombosis; device embolization; device migration or malposition requiring intervention; valve deployment in unintended location; valve stenosis; structural valve deterioration (wear, fracture, calcification, leaflet tear/tearing from the stent posts, leaflet retraction, suture line disruption of components of a prosthetic valve, thickening, stenosis); device degeneration; paravalvular or transvalvular leak; valve regurgitation; hemolysis; device explants; nonstructural dysfunction; mechanical failure of delivery system, and/or accessories; non-emergent reoperation. Precautions: For special considerations associated with the use of this device prior to THV implantation, refer to the SAPIEN XT transcatheter heart valve Instructions for Use.